A celebration of community of personal growth that has lasted more than 20 years. It’s pretty amazing, and we’d love to have you join us. Earth Lodge is a big family in which we grow in beauty. For 21 years, each summer, we meet to live together in Nature, to experience sharing, enjoyment, harmony. 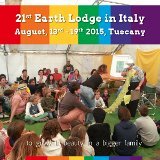 The Earth Lodge is a place where we grow hope: all together we experiment with the possibility of living in a community model that promotes growth and personal and collective evolution. The seeds of beauty that are planted during these day are a small treasure to bring back home and to see them sprouting up in our family, in relationships, at school, with friends, at work. It is a very strong experience of change in which we can awaken the memory of who we really are, remembering what our soul’s design is in order to actualize it. The Earth Lodge is a “womb” where we find knowledge and learn how to make our own life a ceremony, every day, in our daily experience. Ready for a spiritual experience that’s family-friendly? Then Spirit Camp is for you! Can you resist the call of your spirit? Spirit Camp welcomes families, parents, children, elders of all ages to reconnect to life, spirit and self through ceremony and sharing in community. You will gain skills to guide you through the many passages of life’s journey. Learn about key growth periods in your life and those of your family. Understand life transitions and what your kid/s may be ‘teaching’ you now. Find tools to support you and your family’s evolution, now and in the future. 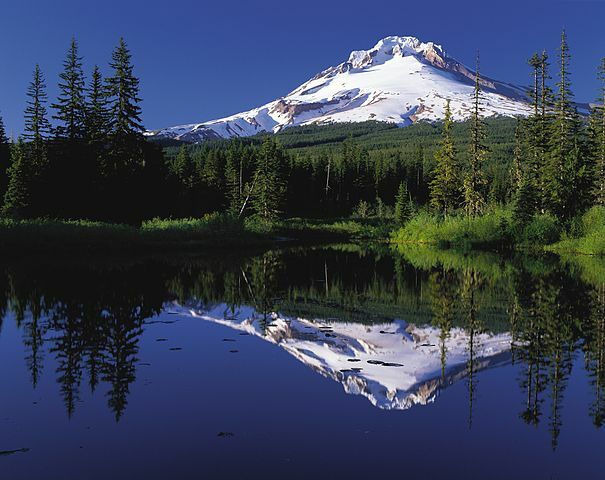 Participate in activities such as swimming, hiking, crafts, drumming, singing and campfires. Midsummer is a magical time to camp on our land near Bancroft, Ontario. Each day is scheduled to give parents a chance to connect with each other, nature and have their own separate teachings from the children. Imagine walking on the land and listening to the laughter of children, while they safely expand their boundaries and explore nature at its best. Come and join us on this adventure and exploration of your soul’s journey. Contact the Institute for Contemporary Shamanic Studies at: www.icss.org or telephone 416-603-4912 for more information. A personalized, powerful week of ceremony and healing. Register while time remains! This week-long shamanic retreat is designed to provide adult seekers of all ages with spiritual tools, knowledge, purification ceremonies, and Rites of Passage from the lineage of the Sweet Medicine Sundance Path. 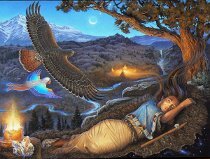 The week builds up to your participation in a beautiful overnight vision quest ceremony that will help you to make Spirit your companion as you learn to navigate your life passages with grace and power. The teachings and ceremonies that you receive will be personalized so that the knowledge is directly relevant to YOU, no matter what age or stage of life you are at. Contact the Institute for Contemporary Shamanic Studies at: www.icss.org or telephone 416 603-4912 for more information. In Oregon for the Eagle Dance? Why not stay a bit longer to experience the power of a full week of ceremony? Your personal ceremony will be tailored to your needs and backed with teachings, a strong lineage and deep alchemy. These most pivotal times in which we live are demanding that we stretch beyond limitation and embrace our Mastery. Ceremony is the pathway to get us there. Are you ready to fully awaken your beauty and power? If so, we invite you to join us for ceremony this summer! There is still time if you want to jump into the unknown. Ceremony allows us to discover and cultivate our Natural Self. When we commune with the Great Teachers of Life, the natural world and Spirit, we learn to live more consciously, see our vision more clearly and feel our passion more deeply. Let the heartbeat of the Drum and Goddess Beauty, the Center Tree of Life, guide your prayers for the year. Reconnect to your sacred self and to the natural world around you through ceremony designed to give you tools and experiences to help you develop your connection to the natural world, your personal health and balance, and your personal power – with the maturity to use it wisely!